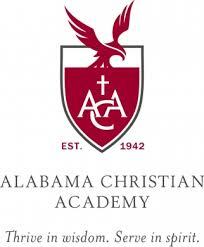 Since 1942, Alabama Christian Academy has helped students to excel with a college preparatory education, while also providing service opportunities to be a witness to the world. God has greatly blessed our efforts, and as a Christ-centered school, we give Him the Glory. Along with an advanced academics program, we provide a comprehensive athletics program and fine arts enrichment activities. Join ACA in our mission to ensure your child will thrive in wisdom and serve in spirit.